Two Shallotte men were recently arrested on drug charges following a several month long investigation. 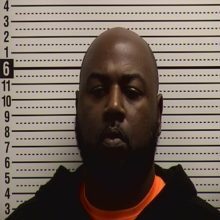 Antwan Damitri King, 39, of Tolson Circle, Shallotte, was arrested on 11/16/18 and charged with PWIMSD cocaine, maintaining a dwelling used for keeping and selling controlled substance, possession of drug paraphernalia, and possession of a fire arm by a felon. He was booked into the Brunswick County Detention Facility under a $20,000 bond. 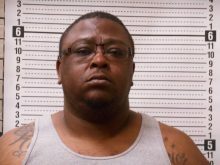 Christopher Bryant, 42, of Tolson Circle, Shallotte, was arrested 11/16/18 and charged with felony possession cocaine, maintaining a dwelling used for keeping and selling controlled substance, possession marijuana, and possession marijuana paraphernalia. 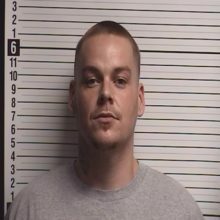 He was processed into the Brunswick County Detention Facility under a $10,000 bond. Seventeen guns were seized during a search warrant of the home as well as 6.3 grams of crack, 13.7 grams of marijuana, and nearly $450 in cash. Additional unrelated drug arrests have been made over the last two weeks. 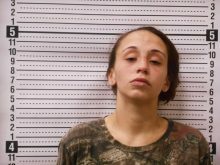 Kayla Floyd, 29, of Penn Street, Wilmington was arrested on 11/13/18 and charged with possession of heroin and possession of drug paraphernalia. She was booked into the Brunswick County Detention Facility under a $5,000 bond. 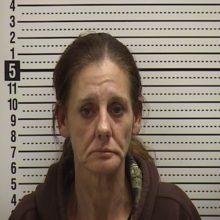 Julie Ann Moore, 41, of NE 48th Street, Oak Island was arrested on 11/7/18 and charged with felony possession of cocaine and possession of drug paraphernalia. She was booked into the Brunswick County Detention Facility under a $7,500 bond. 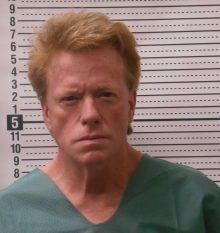 Richard Curtis Puckett, 54, of NE 6th Street, Oak Island was arrested on 11/7/18 and charged with felony possession of cocaine and possession of drug paraphernalia. He was booked into the Brunswick County Detention Facility under a $7,500 bond. Ashley Parella, 25, of Manahawkin, NJ, was arrested on 11/2/18 and charged with possession of heroin, simple possession of SCH III CS, and possession of drug paraphernalia. She was booked into the Brunswick County Detention Facility under a $5,000 bond. Colin Chase Bennett, 28, of Market Street, NW in Shallotte, was arrested on 11/14/18 and charged with PWISD cocaine, sell/deliver cocaine, and possession of drug paraphernalia. He was booked into the Brunswick County Detention Facility under a $30,000 bond. 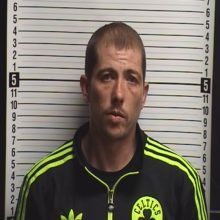 Roger Dale King, Jr., 35, of Patalanda Rd., Wilmington, was arrested on 11/14/18 and charged with felony possession of cocaine, possession of drug paraphernalia, flee/elude arrest with a motor vehicle, and resisting a public officer. He was booked into the Brunswick County Detention Facility under a $25,000 bond. 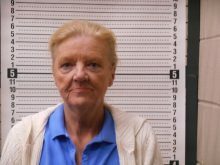 Norma Jean Sanderlin, 61, of Perch Court, Shallotte, was arrested on 11/8/18 and charged with felony possession cocaine and possession of drug paraphernalia. She was booked into the Brunswick County Detention Facility under a $2,500 bond. 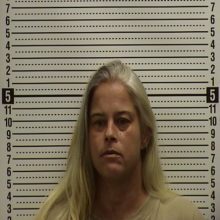 Kimberly Ann Stegall, 41, of Old Ocean Hwy, Bolivia, was arrested on 11/8/18 and charged with felony possession cocaine and possession of drug paraphernalia. 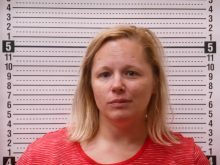 She was booked into the Brunswick County Detention Facility under a $2,500 bond. 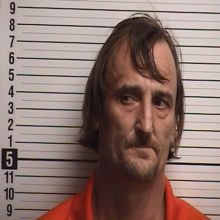 Theron Trevor Shackelford, 40, of Harvell Road, Stanfield, NC, was arrested on 11/9/18 and charged with felony possession of cocaine. 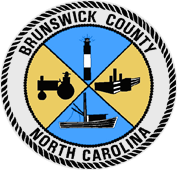 He was booked into the Brunswick County Sheriff’s Office under a $5,000 bond. 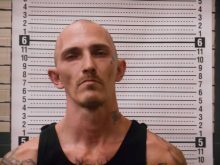 Jason Ray Oxendine, 34, LNA Sandy Drive, Leland, was arrested 11/9/18 and charged with simple possession of SCH III CS and possession of a controlled substance on jail premises. He was booked into the Brunswick County Detention Facility under a $10,000 bond. 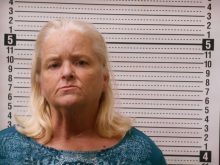 Diane Powell, 59, of Indigo Circle, Sunset Beach, was arrested on 11/1/18 and charged with conspiracy to sell and deliver heroin. She was booked into the Brunswick County Sheriff’s Office under a $20,000 bond. 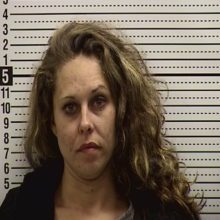 Amanda Suellen Powell, 32, of Indigo Circle, Sunset Beach, was arrested 11/1/18 and charged with possession of heroin. She was booked into the Brunswick County Detention Facility under a $5,000 bond. 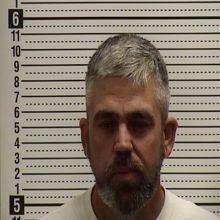 Douglas Watson Frye, 43, of Baker Drive, Supply, was arrested on 11/1/18 and charged with possession of heroin. He was booked into the Brunswick County Detention Facility under a $5,000 bond. 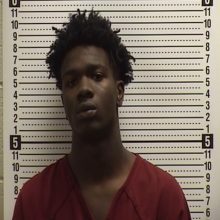 Quantrell Tyrik Walters, 17, of Goosebay Road, Myrtle Beach, SC, was arrested on 11/4/18 and charged with felony possession of cocaine. He was booked into the Brunswick County Detention Facility under a $2,000 bond. 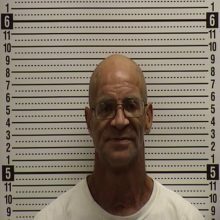 Rodney Kevin Thomasson, 54, Oak Ridge Plantation, Calabash, was arrested on 11/2/18 and charged with felony possession of cocaine, simple assault, and resisting a public officer. He was booked into the Brunswick County Detention Facility under a $12,500 bond. 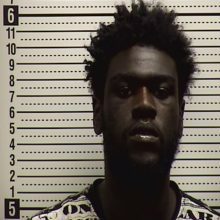 Kendan Kuashan Crawford, 21, of Handy Drive, Longs, SC, was arrested on 11/4/18 and charged with felony possession of cocaine and possession of drug paraphernalia. He was booked into the Brunswick County Detention Facility under a $10,000 bond.